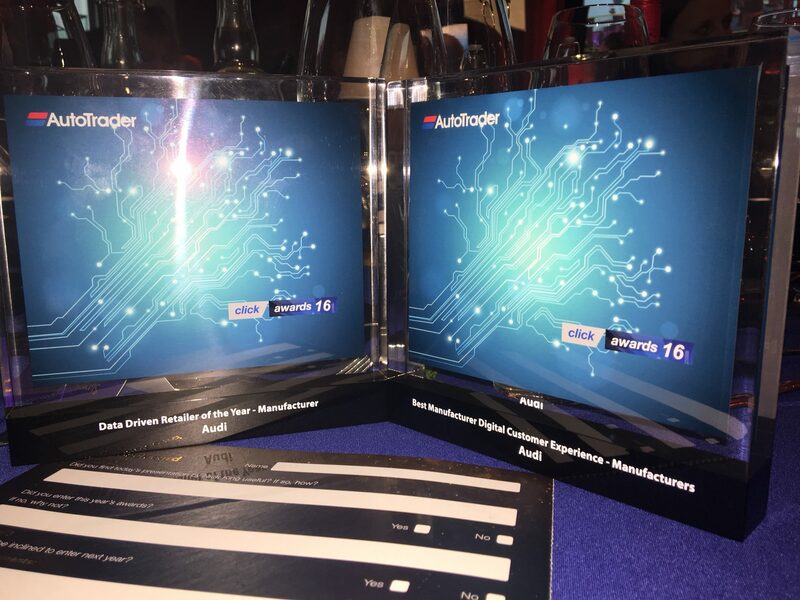 Today Audi win two awards at the auto trader click awards! The first was best manufacturer digital experience. As voted for by 8000 customers. Engaging content and ease of user journeys were quoted as significant criteria for the winner. The second was data driven retailer of year.